Hi Everyone! 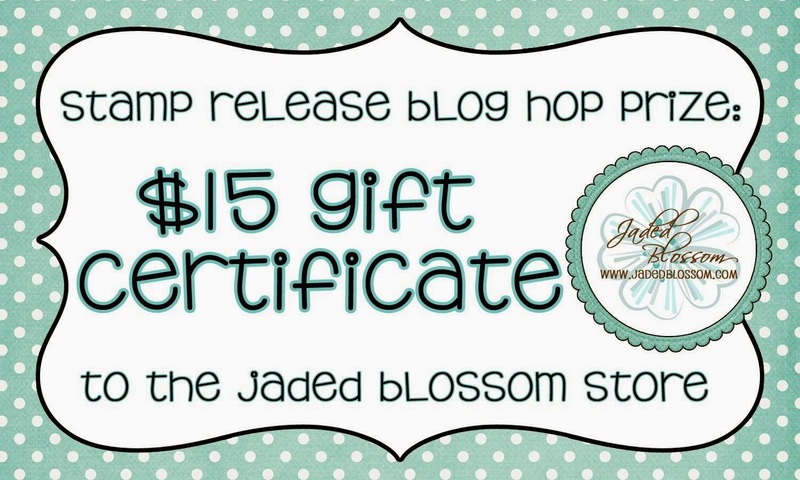 Welcome to Jaded Blossom's January 2014 Release Blog Hop. Here is what I created! This Chinese Food Take Out box is NEW from SVG Cutting Files!! Isnt it the cutest!! Here is a side view.. I used wire to create the handle. I used Peachy Keen Happy Lashes 4 inches for the face! Here is a close up of the tag. 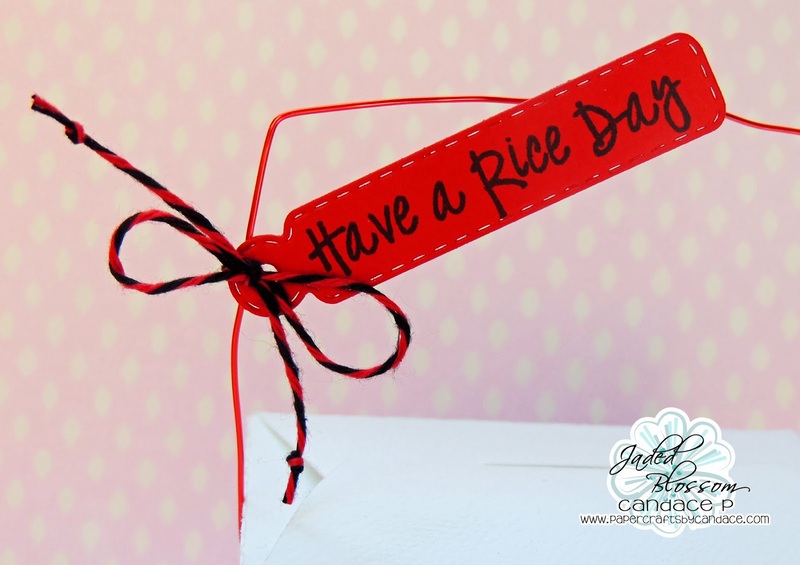 I used the Mini Tag Dies and the sentiment is from Kawaii Sentiments. 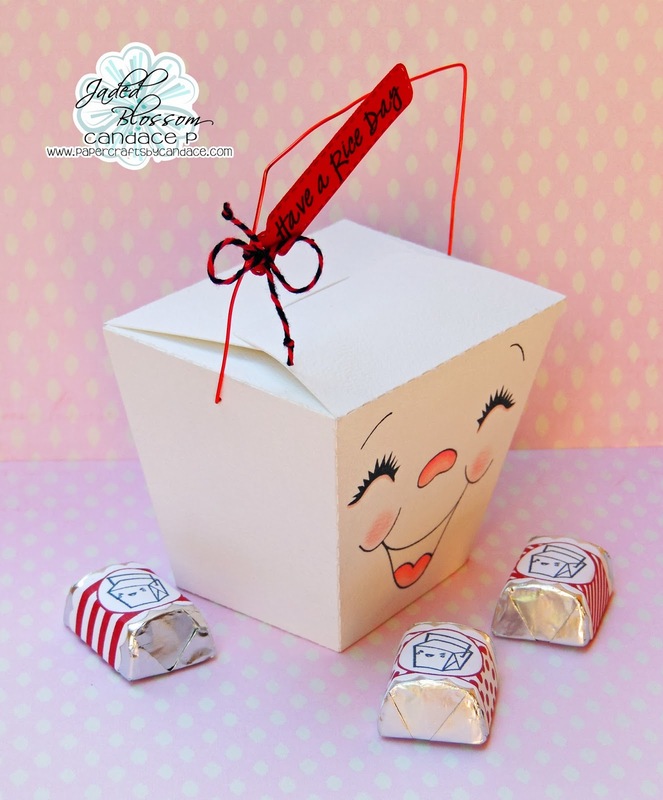 For the inside of the take out box, I wrapped candy nuggets using the candy wrap dies, candy wrap stamps and kawaii candies for the cute take out box image. 1 - Free 2 x 3 Stamp for customers that spend $40 or more before Taxes and Shipping! FREEBIE is only available until Sunday 1/12, 11:59pm pst. CANDACE! this has GOT to be the CAYUTTTTEEEESSSTTTT thing ever!!! Great job this whole week!! Oh my, sooo cute love that face! This is seriously TOO darn CUTE!! AS for our blog look..ADORABLE!! this is tooo adorable !!! love the crisp clean look of the stamps on the nuggets ! Oh my, just so cute. Love the whole idea. Awe...how CUTE!!!! GREAT.AMAZING job all week!!!! So well made! The candies look so pretty inside the Rice Box. Candace, that is a really cute treat box!!! The new stamps are wonderful!!! Happy Chinese take out. Love it! Love your project! This months stamp release is amazing. Have to ask what ink pad did you use for your candy wraps? Love how vibrant the color is. I am loving what you did with the takeout box!! Adorable face!! This is the cutest little takeout box ever. I just love the peachy face you used super cute. this is sooo adorable!!! love this!!! such a great idea! This is soooo super cute! Love the big PK face on the box and those fun candies! Oh this is such a cute box the way you decorated it inside and out. Great release! Adorable. Great projects all week. This is so fun! Love the sentiment and faces. ADORABLE!!! Thanks for a fun filled week full of great projects. Way too cute!!! Love the blog look too!! :) I love all the stamps this release!! this is awesome!!!! I have a disabled friend that loves chinese takeout!! I will be making this for her for sure!!! Love the release this week!!! This is so dang cute... Love everything about it! Amazing projects ALL week! I love this release! It was the BEST!! I LOVE your sweet take out box and candies. What a fun idea. What a super adorable project!! 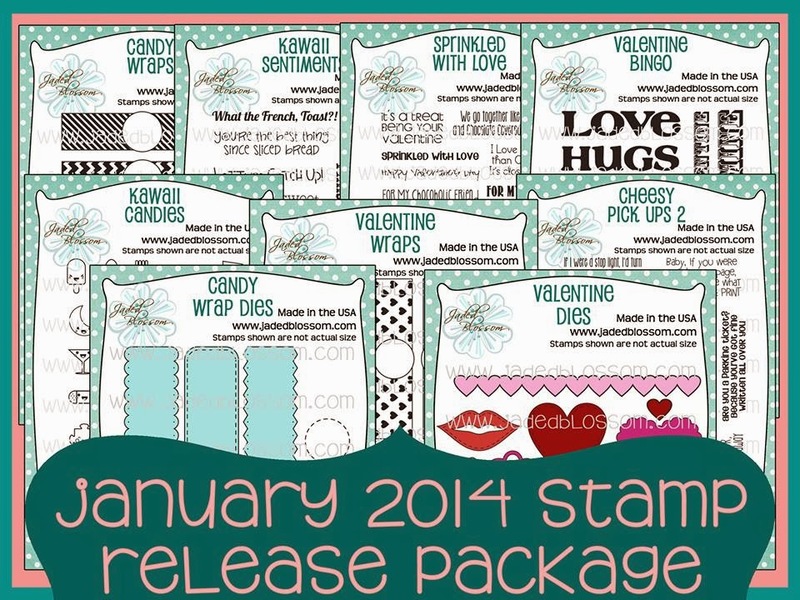 I just LOVE the new file from SVG Cutting Files and the awesome and totally adorable new release stamps! Thanks for sharing and have a GREAT weekend!! Uber love the take out box!! What a perfect party favor!! 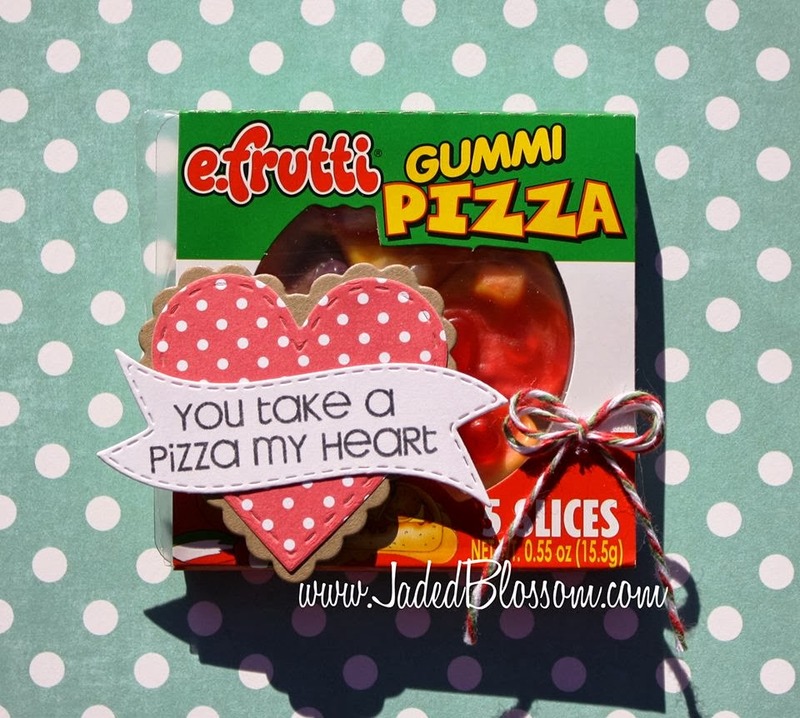 This is so cute - love the face on the box; also love the candy wrappers. Oh my gosh! I love this! 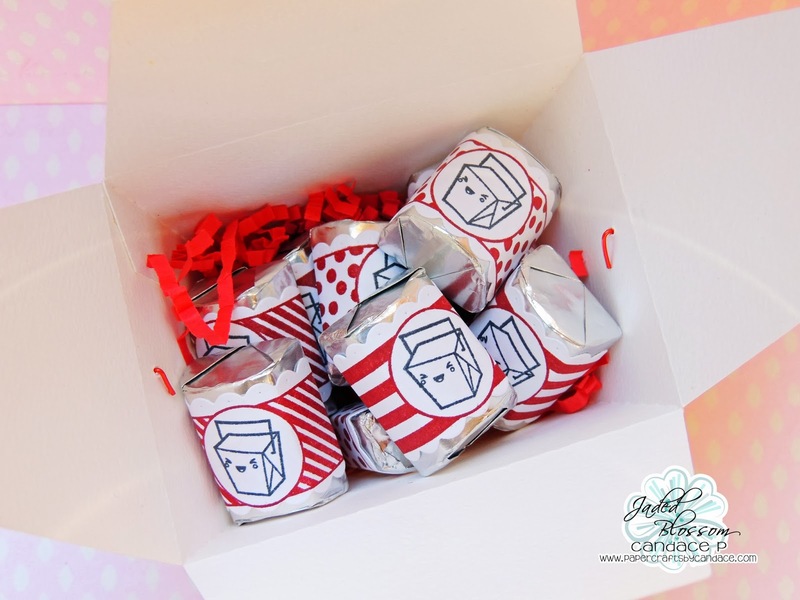 What a fun and cute little treat idea! 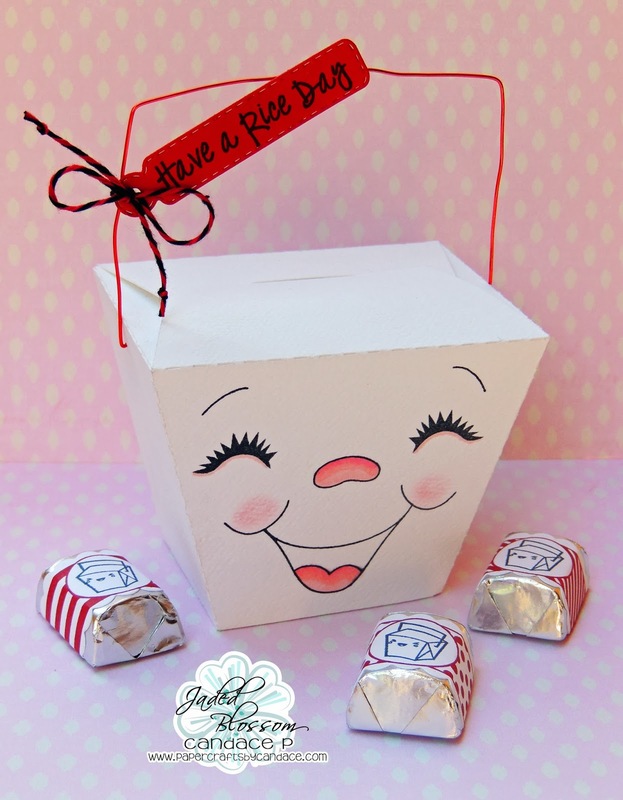 The fun face, adorable candy all wrapped up and the cutest matching sentiment! Love the mini takeout boxes on the candy.. too cute. What better way to gift them then in a large take out box. Great job. Oh my gosh! This is just way too cute!! LOVE that face!!! I love the take out box. Very cute. So adorable! Love the face! TOP SECRET Detective Blog Hop! XOCHITL'S BABY SHOWER Blog hop!! 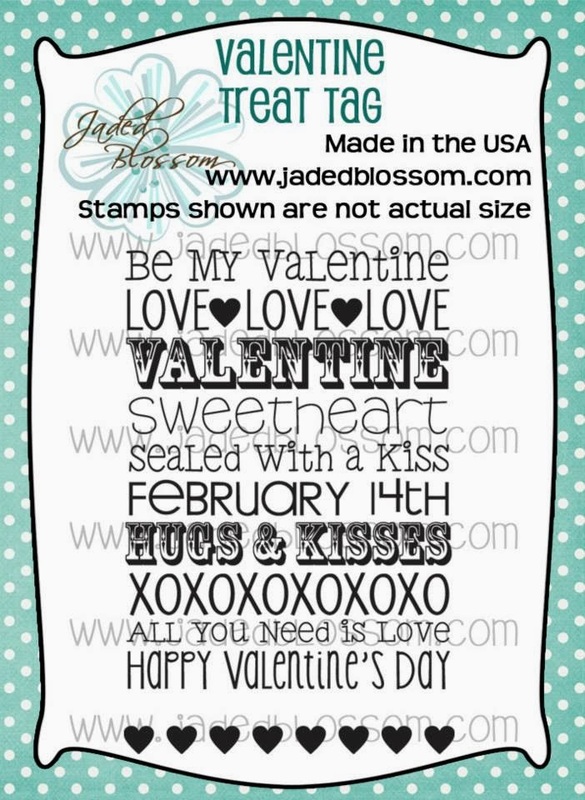 Jaded Blossom Stamp Release week, day 3!! 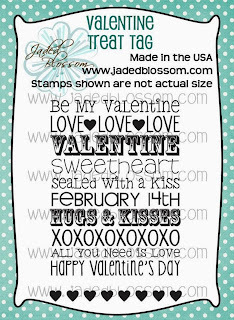 Jaded Blossom Monthly Challenge: Valentine's Day!